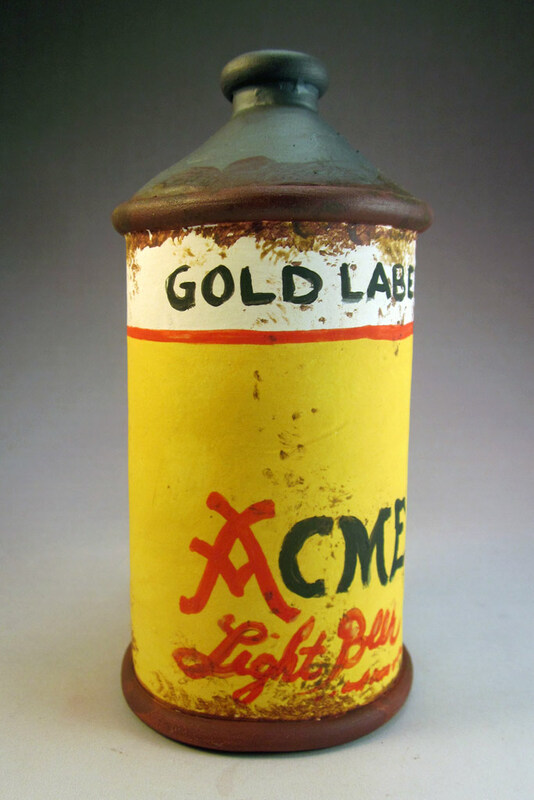 View cart “Acme Gold Label Conetop Beer Can” has been added to your cart. 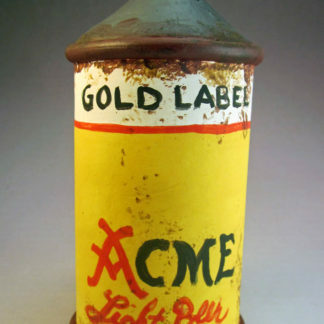 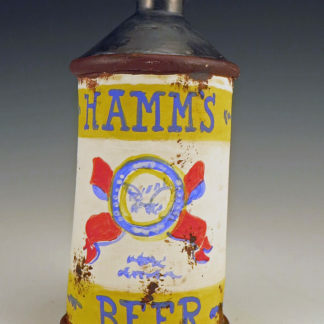 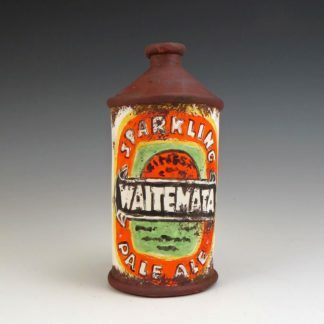 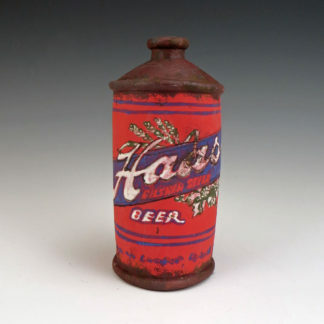 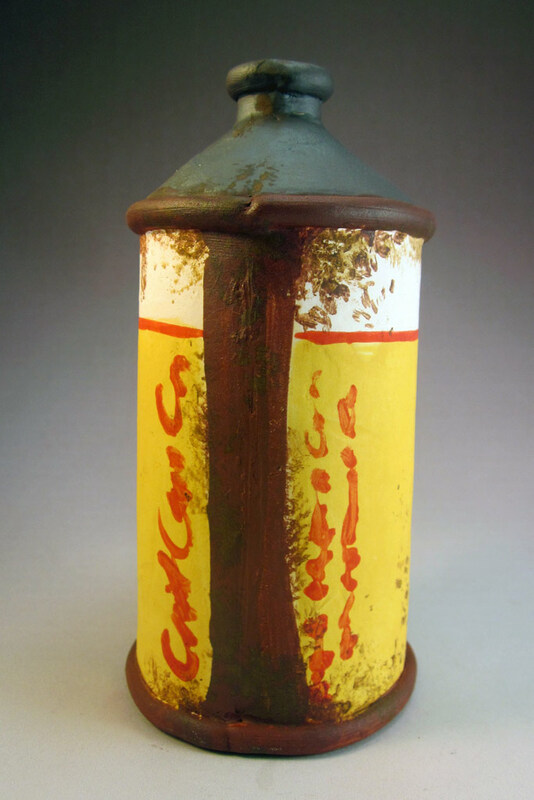 Completely hand-fashioned and decorated, this ceramic conetop features Acme Gold Label Beer from San Francisco, CA, circa 1950. 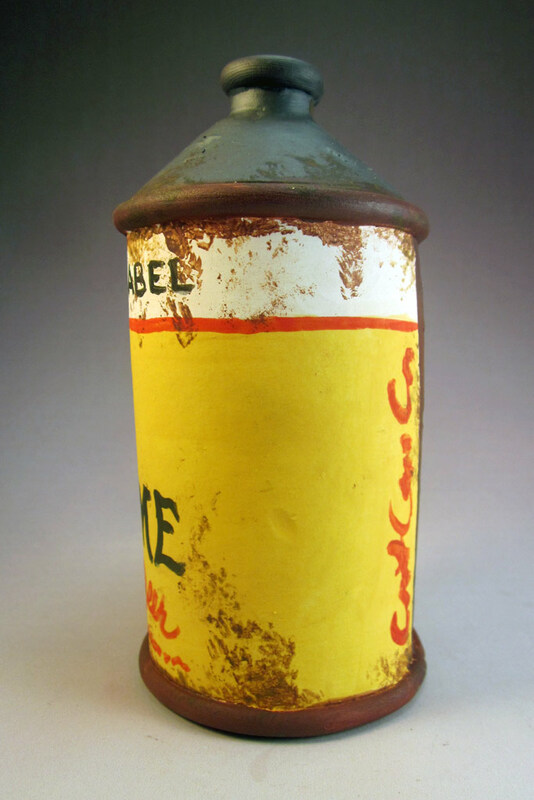 The piece is hand-rendered in white, red, yellow and black, with random splashes of rust to complete the “vintage collectible” effect. Acme’s a brand from 1907 which survived Prohibition and several iterations of ownership and is still around today. 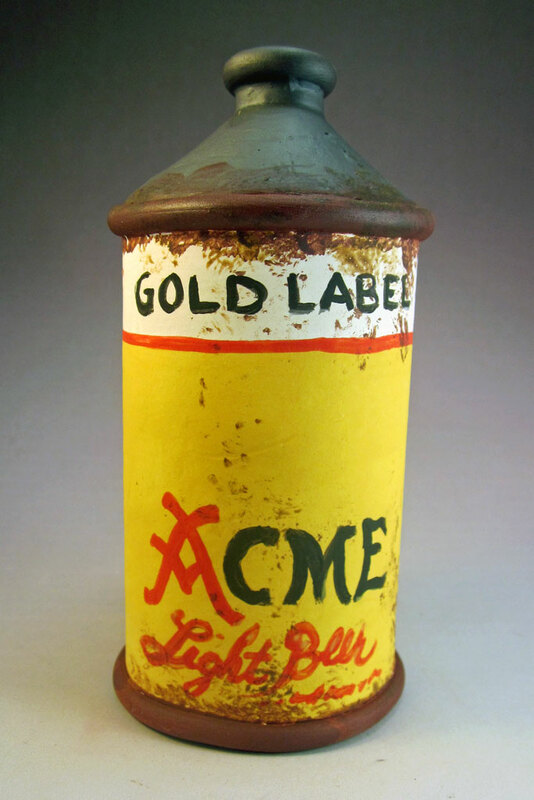 See all the photos to enjoy this simple and direct label – and line this one up with a few more on a bar shelf near you.